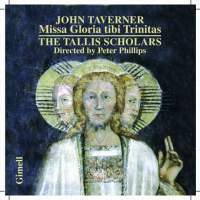 Banished as I am to the antipodes and not able to return to the UK as often as I might wish, I wasn’t in the audience for The Tallis Scholars ‘apparently sublime performance of John Taverner’s equally sublime Missa ‘Gloria tibi Trinitas’ at this year’s Proms. But I can easily content myself with this new and second recording of a work they first committed to disc back in 1984, because it’s quite simply stunning. 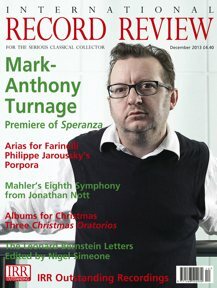 As The Tallis Scholars’ founder and director Peter Phillips writes in his booklet note, ‘Taverner’s Missa ‘Gloria tibi Trinitas’ counts as one of the greatest pieces of music ever to have been written in England.’ He also thinks it’s ‘spectacularly difficult to sing’, largely because of its ‘ exceptionally wide-ranging voice parts’ and ‘the way Taverner liked to construct his sections over breathtakingly long spans’. The perfect work, then, with which to celebrate the choir’s 40th anniversary: [There is] no better piece to showcase what The Tallis Scholars have achieved in their 40 years of dedication to polyphony: a summation of Taverner’s art as well as our own’, Phillips writes. Taverner (c. 1 490- 1545) was unquestionably one of the great sixteenth-century English polyphonists, able to integrate foreign influences and his own innovations with more traditional elements. One of Taverner’s three six-voice Masses, the ‘Gloria tibi Trinitas’ erects, over the customary cantus firmus, a large contrapuntal framework comprising massive spans of motivic development, melismatic elaboration and vigorous rhythmic counterpointing for diverse vocal scorings. It’s also worth noting that the ‘In Nomine’ section of the Mass formed the basis for the instrumental genre of the same name, which flourished during the English Renaissance. Also included are the three Magnificats which Phillips says ‘make an intriguing set’ although they were not intended to be sung as such, presented in ascending order of scoring: four, five, then six voices. Going back to the earlier recording of the Missa ‘Gloria tibi Trinitas’, I was struck by how fresh and exciting — indeed, intense — it still sounded. The Tallis Scholars have always striven for a certain classical purity, but I don’t think they’ve ever thrown the emotional baby out with the romantic bathwater: theirs is rather an intensity achieved through precision and restraint. The same can still be said here. Taverner’s unusually wide tessitura and diversity of techniques automatically guarantee a certain sense of drama, it’s true, and sopranos Janet Coxwell and Amy Haworth are phenomenally good here (as, to be fair, is everyone — there are no weak links). However, Phillips’s judicious use of variations of tempo and dynamics, both in the Mass and in the Magnificats clinches the deal. Producer Steve Smith’s recording is, of course, immaculate.